Add a third state to the list of those that require workers’ compensation to pay for medical marijuana. The Maine Workers’ Compensation Board has ruled that companies must cover pot in their comp insurance in two cases. In the first case, Gary Noll made deliveries for Lepage Bakeries Inc. He suffered a low back injury on Feb. 9, 2012, while making a delivery. In 2015, Lepage contested Noll’s request for coverage for medical marijuana for his injury on the ground that medical marijuana is illegal under federal law. Noll had used prescription pain meds for his back pain but had difficulty with their side effects. His treating physician recommended a medical marijuana assessment. 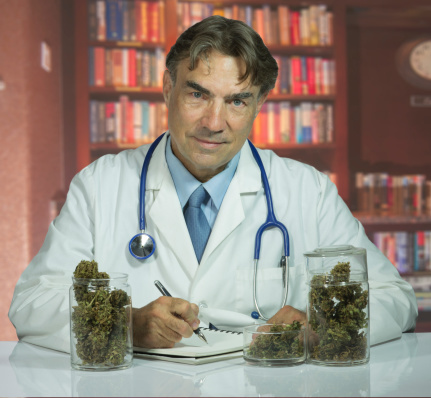 A doctor assessed Noll and recommended medical marijuana for his pain. Even a doctor selected by Lepage agreed Noll was a rare candidate for medical marijuana. The Maine Workers’ Compensation Board noted that the U.S. Justice Department had indicated that interfering with state medical marijuana laws isn’t one of its enforcement priorities. A Justice Department memorandum even stated noninterference with states’ rights regarding medical marijuana. The Board rejected this argument from Lepage. Lepage argued that as a self-insured employer for workers’ comp, it was a private health insurer. But the Board concluded that the meaning of private health insurer doesn’t include an employer who is self-insured for workers’ comp. Having rejected both of Lepage’s arguments, the Board ruled Lepage should reimburse Noll for medical marijuana costs. In the second case, Gaeton Bourgoin worked at a Twin Rivers Paper Co. mill. On March 3, 1989, he suffered a work-related back injury. He’s received total incapacity benefits ever since. Bourgoin was diagnosed with severe chronic pain syndrome in 1993. He has pain and muscle spasms in his back, legs, arms and chest. He was also diagnosed with reflex sympathetic dystrophy which causes burning pain, mostly in his legs. Over the years, Bourgoin has gone through many different pain treatments, including narcotic medications. He developed dependence on the meds in the early 1990s. Bourgoin also suffered side effects from the narcotics including problems with sleep. He was subsequently admitted to a psychiatric facility for chronic pain with insomnia and suicidal thoughts. After the hospitalization, his general practitioner recommended a medical marijuana trial. Bourgoin has been using medical marijuana for his pain since that time. He says his quality of life has improved, he has significantly less pain and he sleeps better. He no longer takes opioid pain medication. a doctor who conducted an independent medical exam of Bourgoin recommended medical marijuana wasn’t reasonable treatment. An administrative law judge found reason to contradict the independent medical exam findings and granted Bourgoin’s request that the medical marijuana be covered. Twin Rivers appealed to the Workers’ Compensation Board. Once again, the Board rejected the federal law argument. The doctor who performed Bourgoin’s independent medical exam recommended he continue using strong narcotic meds. But the board noted Bourgoin had tried strong narcotic meds previously and it failed miserably. Bourgoin had been found to be dependent on or addicted to narcotics. Previous efforts to end Bourgoin’s use of opioids had resulted in side effects followed by psychiatric hospitalization. The Board ruled the company’s workers’ comp insurance should reimburse Bourgoin for his medical marijuana expenses. Maine joins Minnesota and New Mexico as states that now require workers’ comp to pay for medical marijuana treatment in connection with a workplace injury.